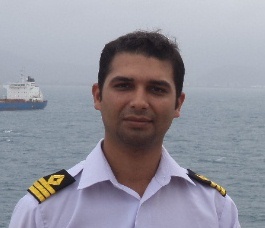 Master mariner by profession and poet by passion, I am born and brought up in Dehradun. Joined shipping at the age of 18 as trainee navigational officer and since then have taken expedition round the globe, n number of times. 12 years down the line, I still enjoy sailing as this was what I always wanted to do. But I used to write since my school days, be it poetry or story, I always used to find a place in my school magazine for same. Once I joined shipping, I never gave up writing. In fact people and new places always inspired me to write. My topic for poems were little different as I have been practicing spirituality since my childhood, I always used to write on that, death being my favorite topic. But it was not until 2013 when I seriously thought of publishing my poems, as I found motivation from lot of people to bring my poetry to the daylight. That was when my first book “kuch khwaab sagar se”came into existence and luckily it found place into people’s heart so soon. I was called to France to discuss my work and was felicitated there by “house of life” and rotary club. Upon returning to India I was felicitated by Nautical institute, London and nominated for sailors today award 2014 in exemplary personal achievement category. The book was then translated into French and can be read as “le moineau dans le mirror”. I always liked to keep things short and simple. No lengthy conversation, no elongated speeches just point to point. Poetry was just what I was all about. Short but subtle and blissful filled with mysteries, giving each person his own space and his own derivation of ideas. Poetry opens up the world for you and makes you think what you actually want to, not what an author wants. World came into existence with poetry, vedas were best form of poetry composed of suktas and mandalas. Bhagwad gita, song of lord was poetry containing the crux of all ancient scriptures. I need not write long passages, stories or novel to tell people what life is all about, my four lines can contain the whole wide world waiting to be explored by seekers. I always tell people, that you can only be a born poet, never learn it in a school or college. Yes they can graft it for you, can bring finesse in your poem, but creation only you can do which in turn comes from overmind and intuitive life. Whenever I sit down to write something, it will be hours when I can write a single line and sometimes in fraction of minutes, the whole poem is created. From where it came, how it rose you will never know. What I feel is that it is a light which falls on you for a particular period of time and if you are ready to grasp it, you will write and if you miss that opportunity, its gone forever, that poem will never come back. I will tell u about an instance when I was writing a poem on Krishna while on board my ship. I generally use my ipad to write and it didn’t took me more than 10 minutes to complete the poetry. But by mistake the poem got deleted. I thought its not a big deal and would be able to write it all over gain as it was hardly few seconds back that I had written it. But to my surprise and shock I couldn’t recall a single word from that poetry. It was like the poem has vanished into thin air, from where it came, there it went. I could never write that poem again. Poem for me always begins with a question and then answer extracted from within. An idea implanted by him and then giving me words to find answers to all mysteries which lie hidden, undiscovered. Raise your hands, feel that light touching you and then write what he wants you to tell the world. That is what poetry is all about. This is his work, I am thy instrument. Good will of publisher and an inspiration from above, amalgamated together to get me to publish my book.